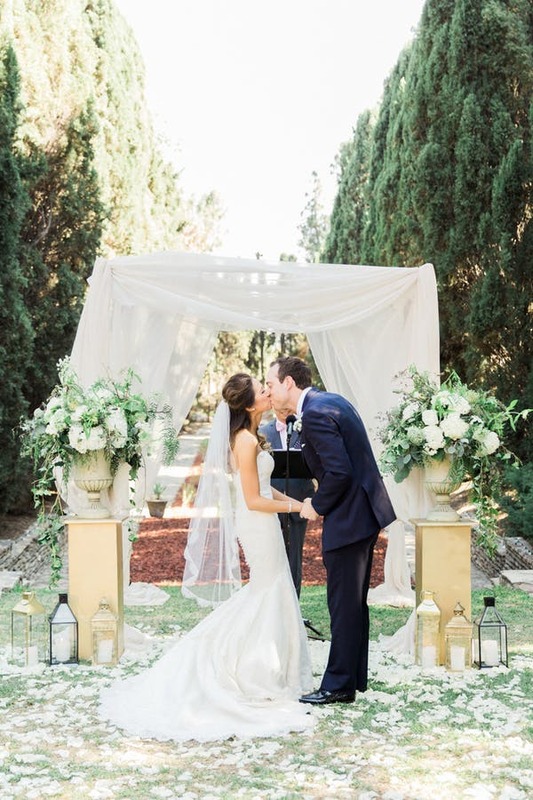 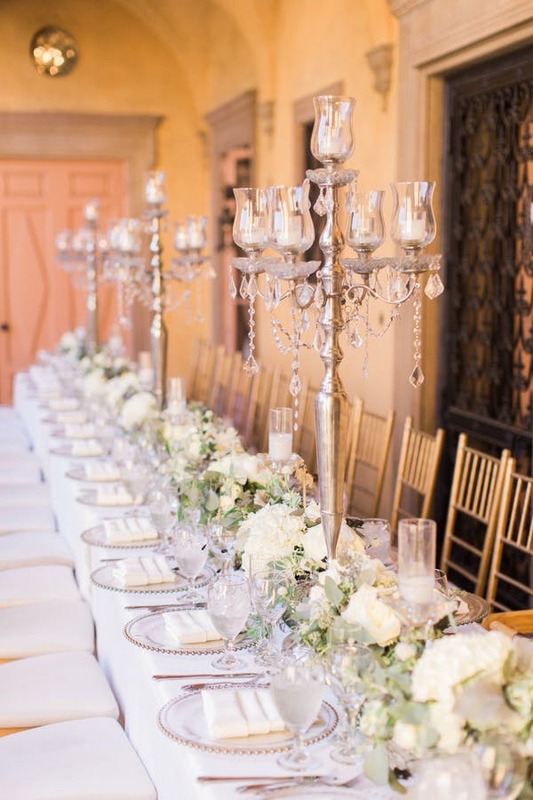 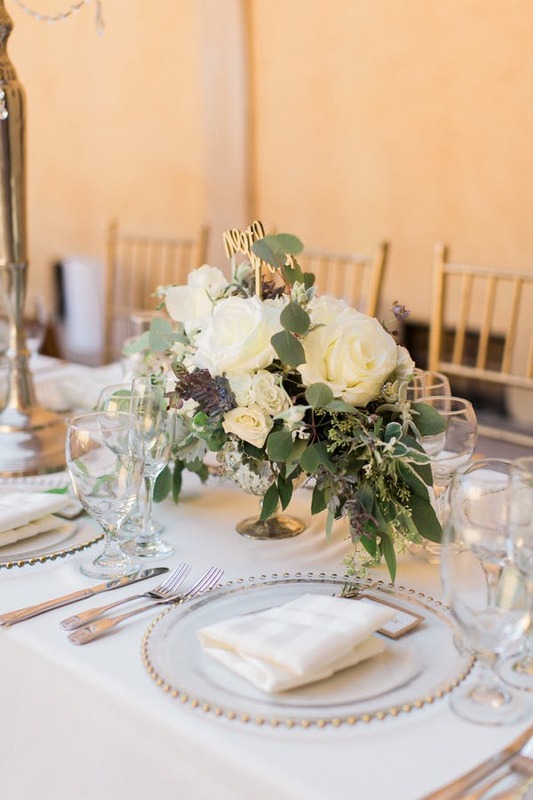 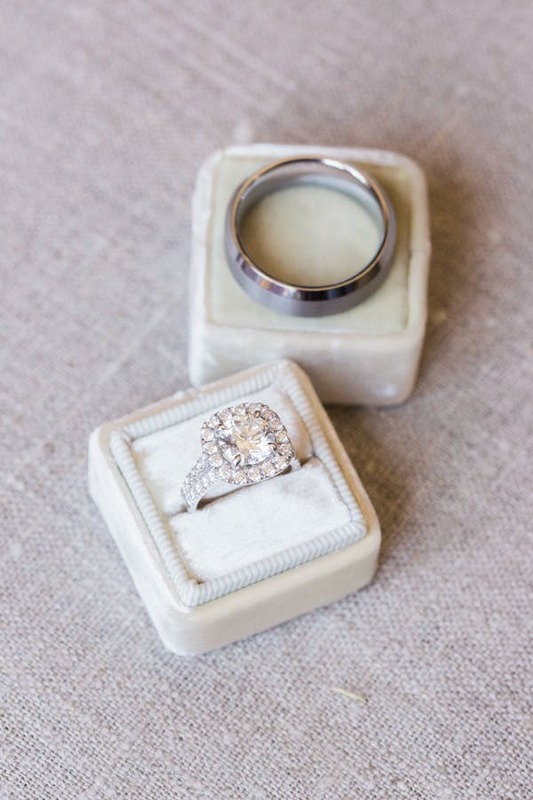 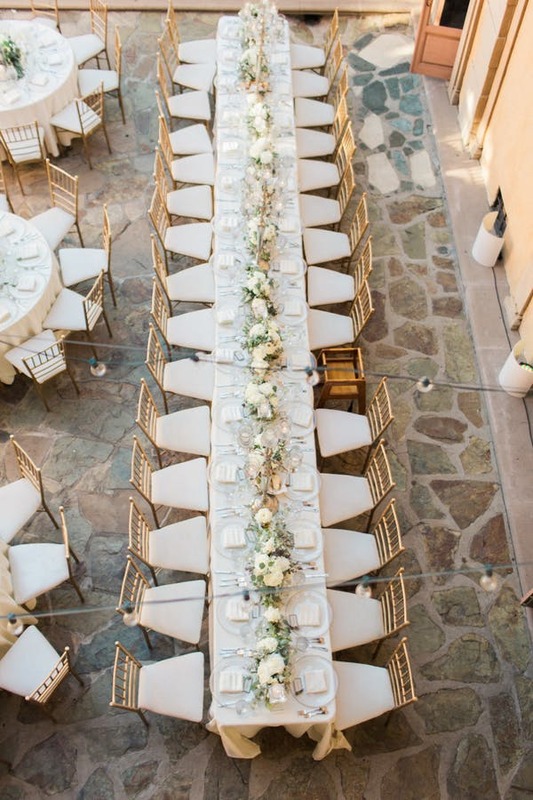 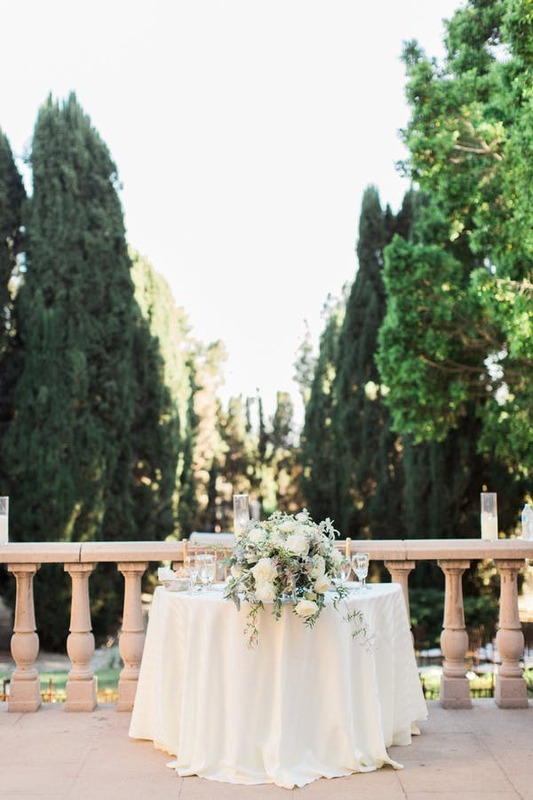 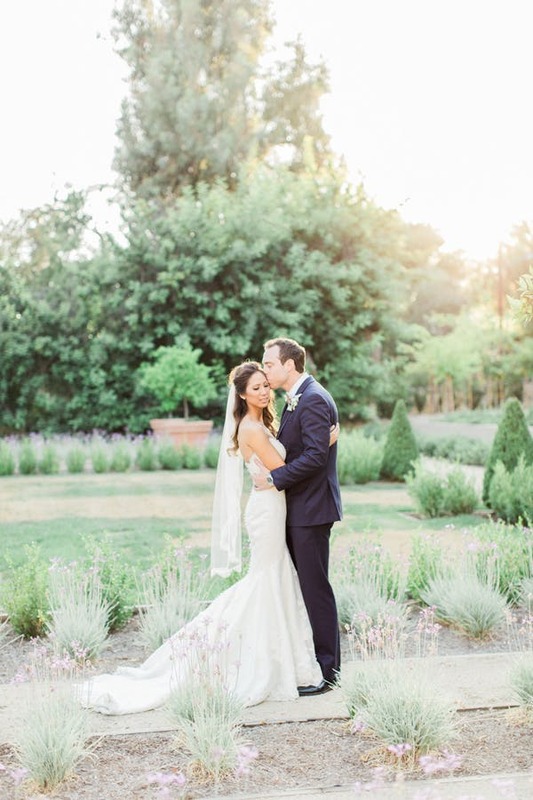 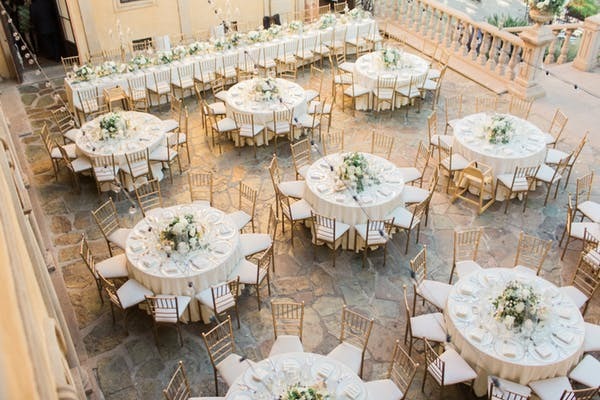 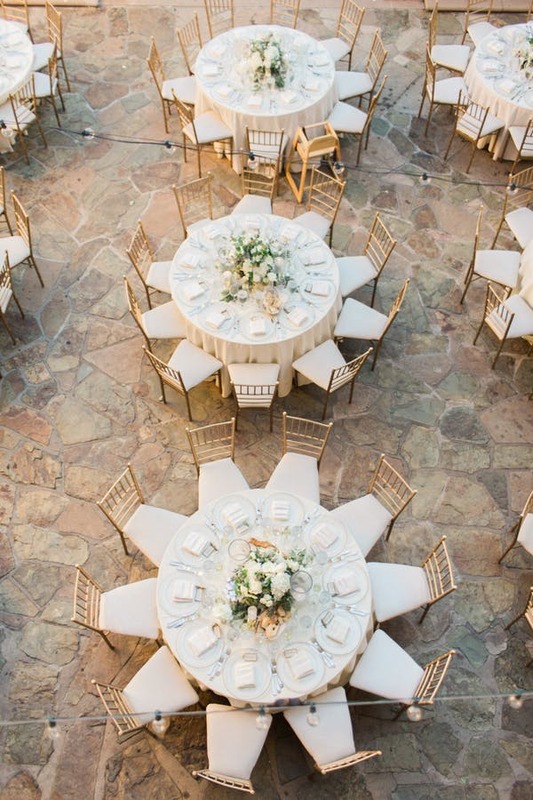 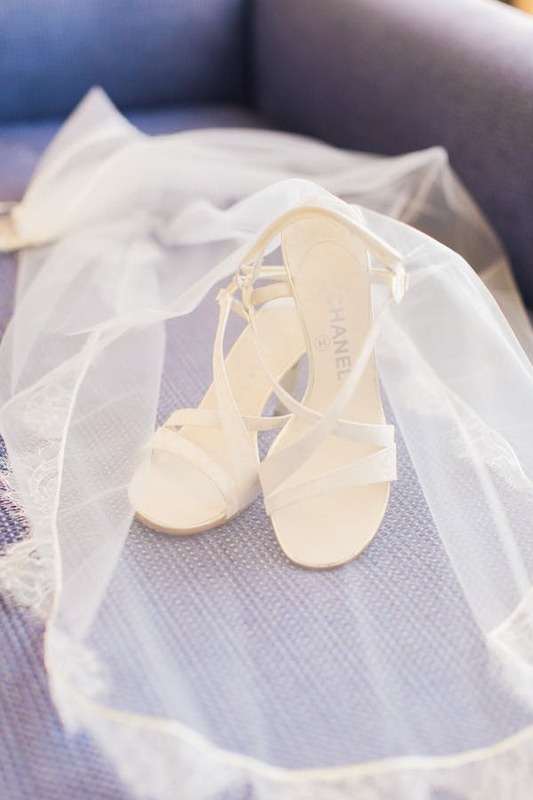 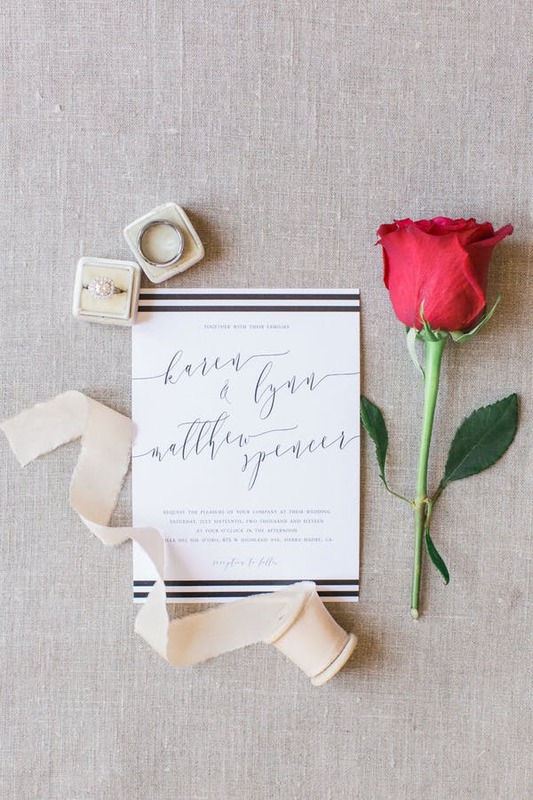 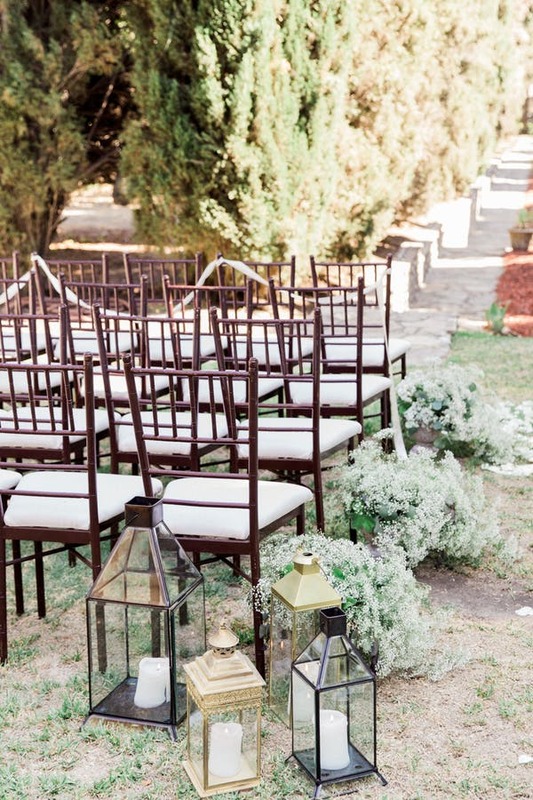 We’re so in love with this elegant white and gold outdoor wedding in California! 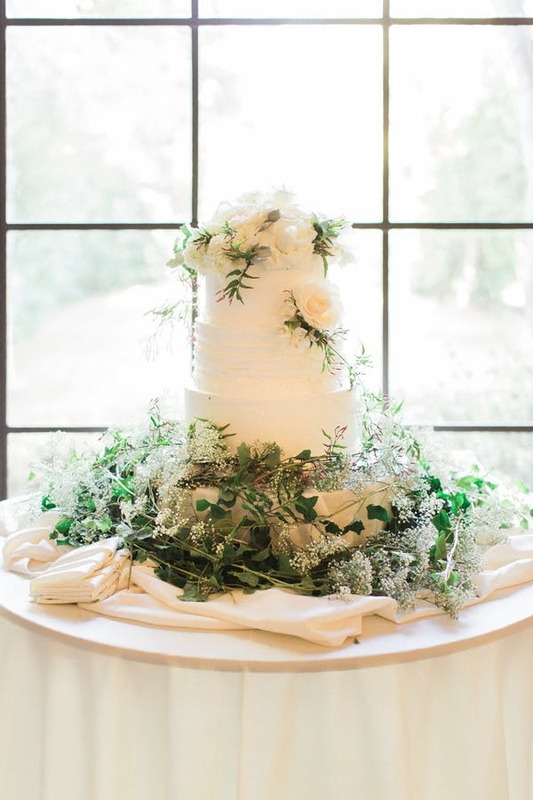 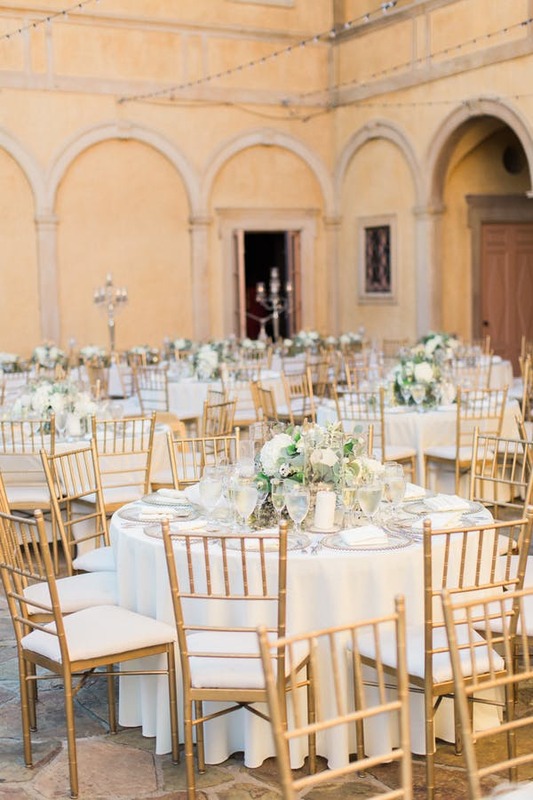 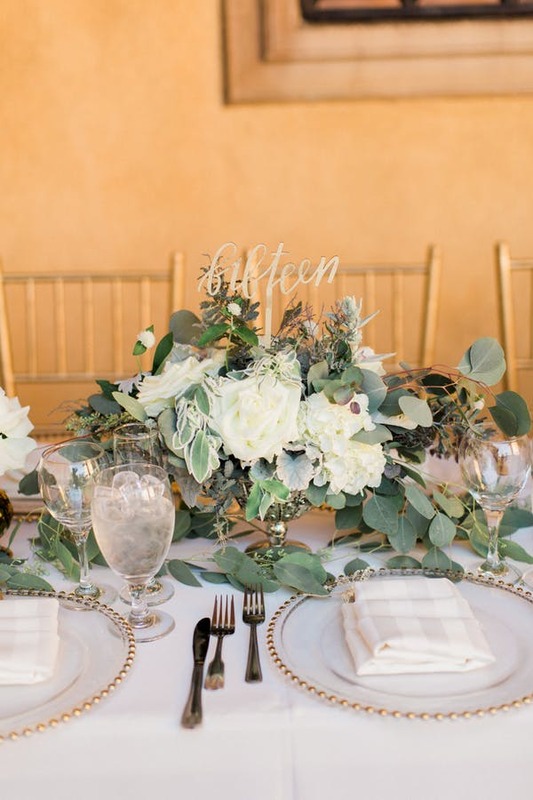 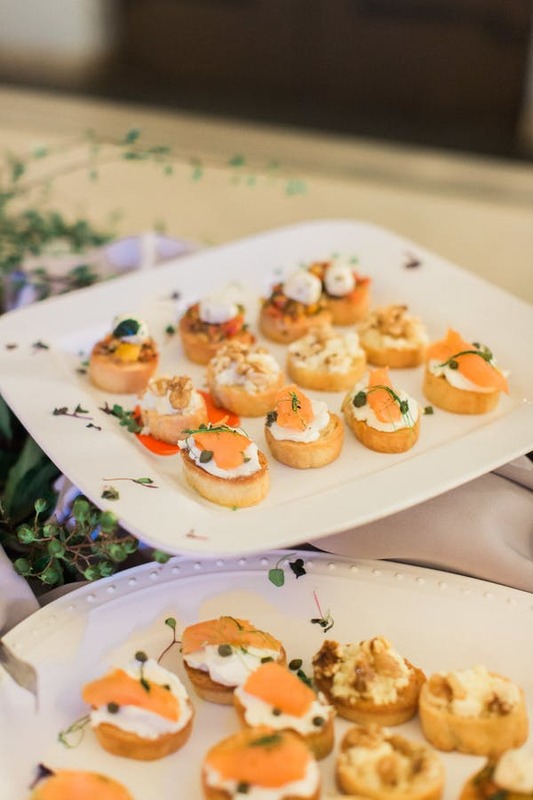 The beautiful photos from Koman Photography show that having a natural color palette will give your celebration and effortlessly timeless look, and this couple definitely got just that in addition to the classic design at the stunning venue Villa Del Sol D’oro. 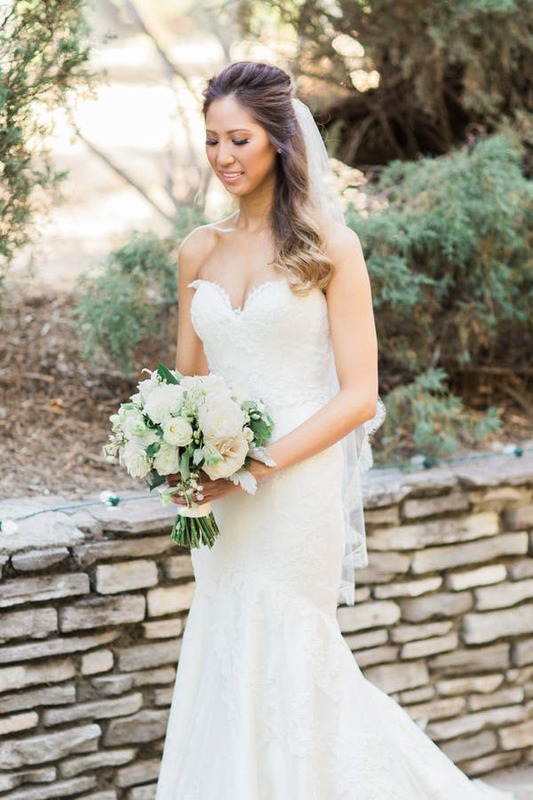 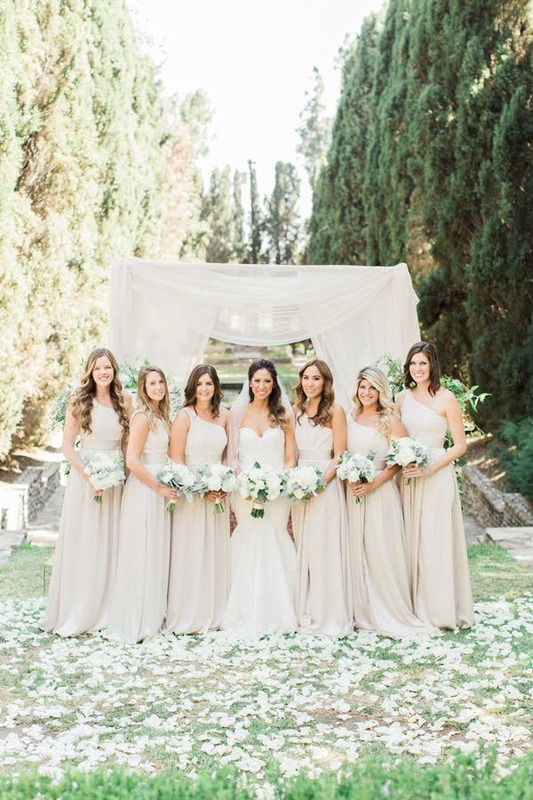 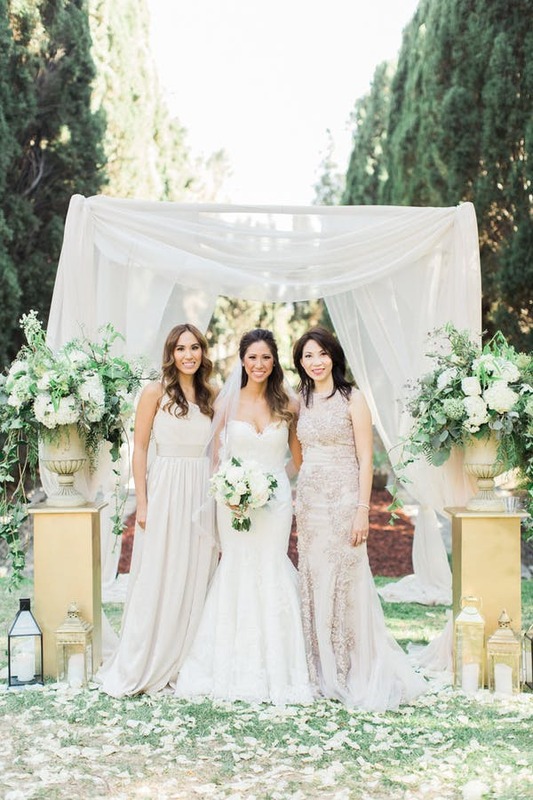 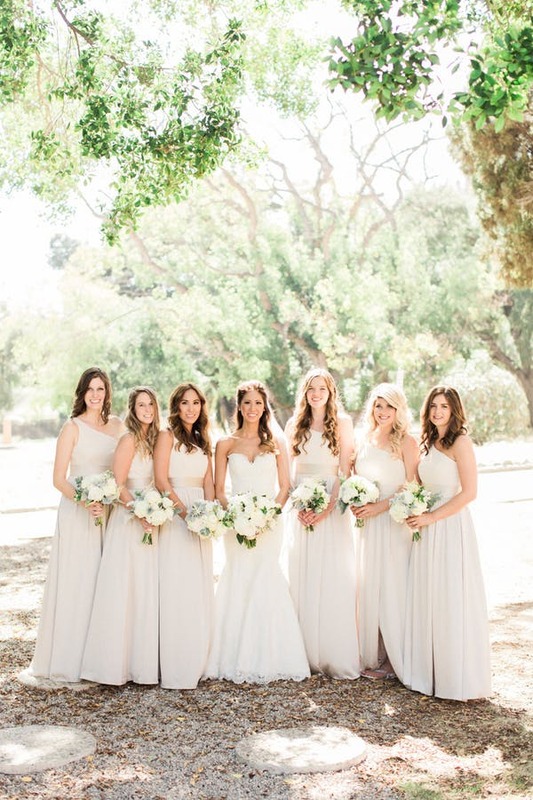 The bridesmaids wore the perfect neutral toned Vera Wang gowns while the bride shined in Matthew Christopher. 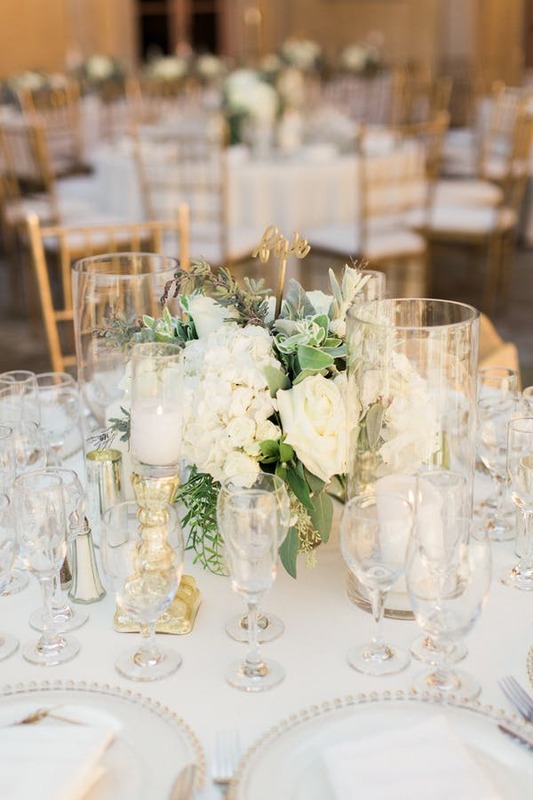 This outdoor ceremony was just oh so chic, with a breathtaking backdrop, gold ceremony pillars and white flower petals covering the space where they said “I do!” Then we were drawn to the epic reception, which was set up with several grand tables on the terrace overlooking the natural green surroundings, with amazing greenery and cream colored flower centerpieces on each table. 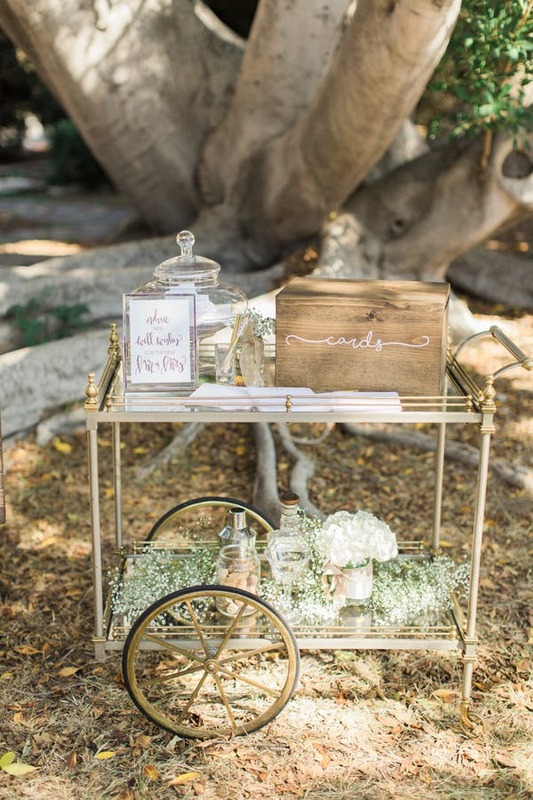 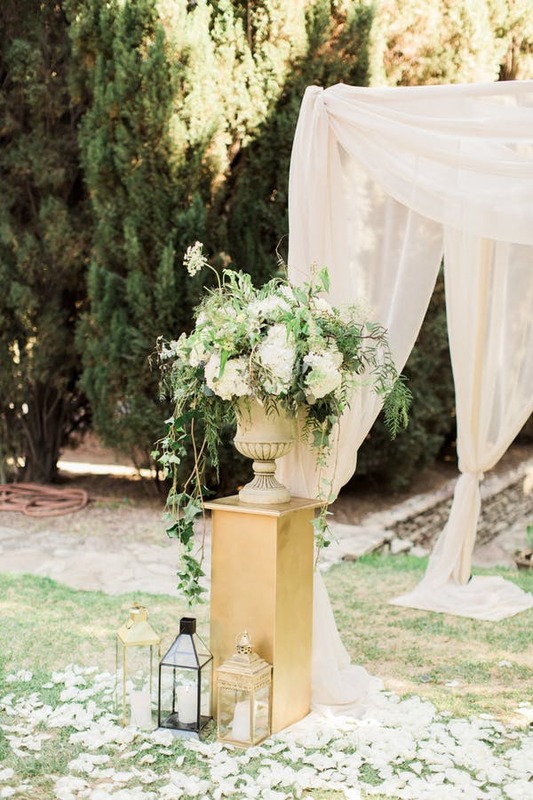 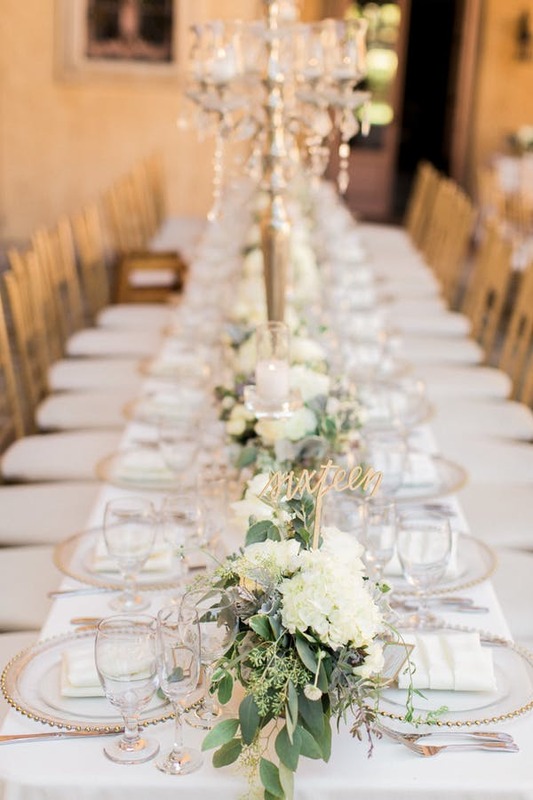 The chic gold accented decor gave the perfect amount of glam to this elegantly classic outdoor wedding. 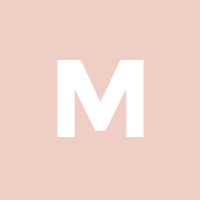 Scroll down to see what we mean!